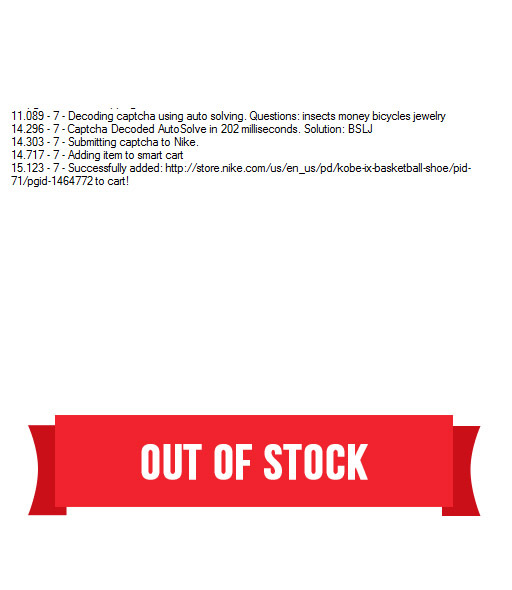 Autosolving captcha subscription to add to your current Another Nike Bot. To date, accuracy has been over 90%. 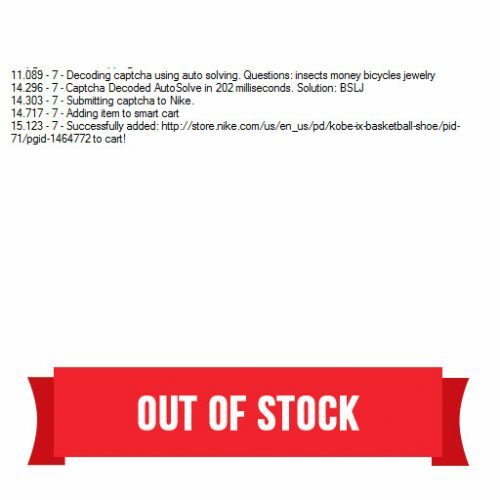 However, Nike is always changing it’s captcha algorithm so you may still have to complete it manually as a backup solution. If accuracy is less than 90% we will work hard to fi and update our captcha solving software. This payment is NON REFUNDABLE under any circumstances. N.B: Others may offer this solution for free but we use different and advanced technology. We do-n’t ask you to download the files on your computer. Instead, we use a very fast and efficient method to achieve captcha solutions from our own server. THE SUBSCRIPTION LASTS FOR 30 DAYS FROM THE DATE OF PAYMENT. THEN AUTO RENEWS.